earTones from the folks at iSkin, a unique and appealing name for a set of earbuds, are they any good, read and discover? A rainbow of assorted colours are available, very fitting with the New iPod nano and touch. iSkin have definitely attempted to create a very innovative design here, with features and styling cues. The earTones look ultra modern with the use of glossy curved plastic and eye catching spacing breaking up the buds. The cable is coated in plastic and has a rubbery feel and unfortunately they tangle with little effort. The design put into features is what that stands out the most to me. The first is what's called Flexfit technology, built into the earbud necks. Apparently a world first for earbuds. It allows the neck of the buds to be adjustable, providing a more tailored fit. Does it work, yes and it seems like such an obvious feature after using it. What's quite remarkable and apparently is another world first is that the exterior of both buds and microphone/ remote is coated in Microban anti-bacterial treatment. Preventing the growth of fungus and staining from such bacteria. This appeals to me as it will keep the buds looking new and will most likely excite many OCD cleanliness fanatics out there too. 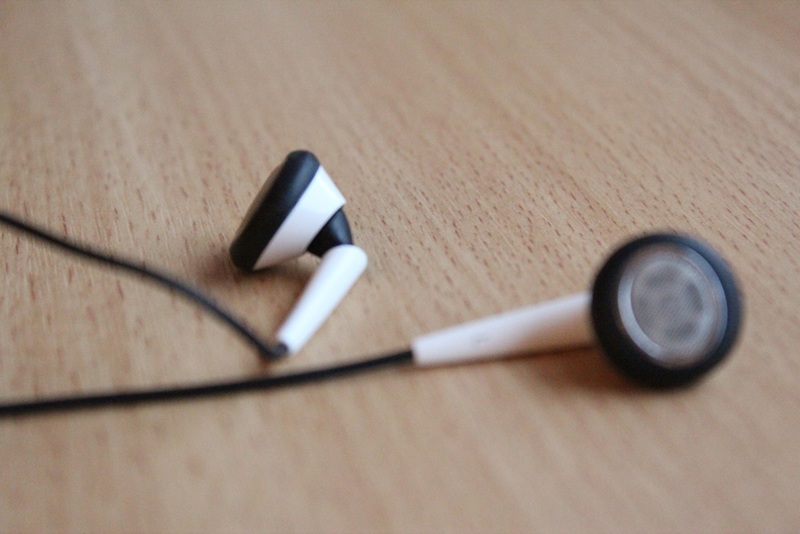 The buds sit in your ears and are most comfortable, using soft tipped rubber for added grip. Each bud is light weight and compact in design, ideal for traveling and pocketing. Because they sit in the ears some audio will escape your ears and exterior audio will enter because of the indirectness to you ear drums. Does the audio quality hinder in execution because of this? Well not really, it's still rather direct. The first and most distinguishable element of the outputted audio was the lack of bass. It's a shame but all genres of music I have played via the earTones is just missing it's correct amount of bass. Audio has fantastic clarity, everything vocally is very distinguishable and audio isn't flat but just doesn't pop due to the lack of bass. Volume gets very loud and can be cranked up all the way with no amount of distortion. In terms of added features, we have a built in microphone within a remote located near the top of the right buds cable. The microphone performs excellently, the audio quality is crisp, loud and is superb at resisting wind. It's ideal for phone calls, Siri and voice memos. The remote is however very flawed, working with the iPhone, iPod, iPad, Blackberry devices and Android devices. It allows for easy accessibility of answering incoming phone calls, pausing/ resuming and skipping music. But has no built in volume control buttons, a massive disadvantage and leaves the remote feeling half made. Overall the iSkin earTones Earbuds equip some very innovative features but are let down by the flawed remote and bass lacking audio performance.